Richard Coleman looks at the recent news that sepsis deaths in the NHS are on the rise, and asks: are we seeing the full picture yet, and what does this mean going forward? I have written previously on sepsis, following the publication on 13 July 2016 by NICE, the UK government’s healthcare advisory body, of its first set of Guidelines on the infection. Last week I spotted an article on the Guardian: “Hospital overcrowding blamed for rise in recorded sepsis deaths”. This article was based on research from Imperial College London showing the number of recorded deaths where the primary cause was sepsis was 11,328 in 2014-15. By 2016-17, however, there were 15,722 deaths in hospital or within 30 days of discharge where sepsis was the leading cause, an increase of 38.8%. According to Sir Brian Jarman, the director of the Imperial College research unit, this has been fueled in part by staff shortages and overcrowding on wards in English hospitals. Are sepsis deaths really becoming more common in our hospitals? Whilst, on the face of it, Sir Jarman’s comments are alarming – especially given the steadily increasing pressure the NHS seems to be under in recent years – the NHS responded by saying it had placed a greater emphasis on screening for sepsis in recent years as evidenced by the NICE Sepsis Guidelines. It claimed the rise in recorded deaths was due to an increased recognition of the condition, with cases previously recorded as simple infections now being classified as sepsis, rather than such a dramatic rise in actual cases. Which of these competing explanations for the continued rise in deaths from sepsis since the publication of the NICE Guidelines is right must, I suggest, wait a bit longer. At least until the NHS has developed more accurate reporting of such deaths and a way to analyse that data. In the meantime, we must hope that the NHS is right and sepsis really is being properly tackled. It’s also important that, if someone tragically dies as a result of a misdiagnosis of sepsis (or any condition for that matter), any death under the NHS’s care is properly investigated so that lessons can be learned for the future. My hope is that the ‘safe space’ proposals from the Government, identified by AvMA as a ‘mockery of the duty of candour’ in the NHS, will not harm the investigative process going forward. 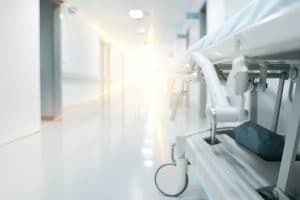 At Royds Withy King we regularly represent claimants who have suffered injury (including death) from a failure to consider sepsis and treat it earlier. These cases involve Claimants of all ages from group B streptococcal infection in new-borns and childhood meningitis through to cellulitis and peritonitis in adults and pneumonia in the elderly.